COMPETITION HAS ENDED: Personalised Football Quiz Book! Shoot! are giving you the chance to win your very own copy of a Personalised Football Quiz Book! Whether they love to watch football, play football, talk football or all three, this awesome puzzle book is perfect for those footy fanatics. 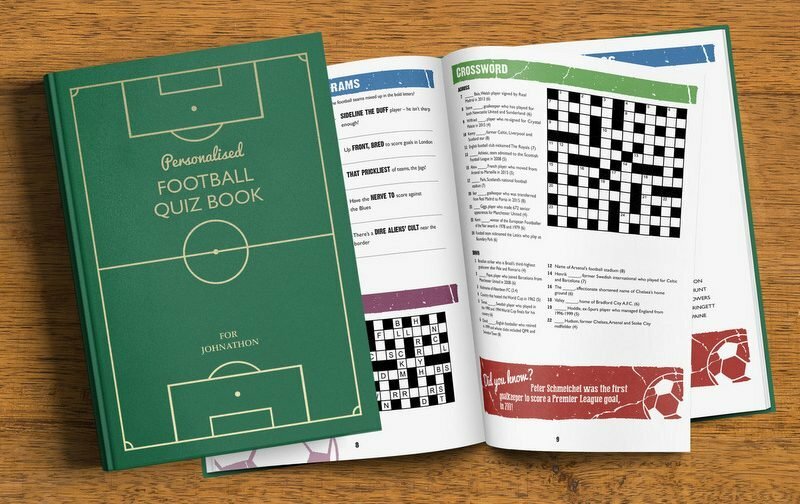 The Personalised Football Quiz Book is filled chockablock with crosswords, Sudoku puzzles and lots of other football based quizzes and puzzles. It has a luxury hard back cloth cover and can be personalise the book with the recipient’s name on the front and add your own special message to the inside of the opening page. Every footy fan will love this book so much they will never be able to put it down. A perfect gift for birthdays or Christmas presents, or just for yourself! To enter Shoot!‘s free competition to win a copy of the Personalised Football Quiz Book, simply enter via the widget below. Good luck!